You probably attend sportsman events for a variety of reasons. It could be to spend time with family and friends, get involved in a local community, or simply experience your passion. An event is always something to look forward to and enjoy! Whatever the reason, whatever the event, FieldPost is committed to providing that connection between the sportsman and the experience. We share your passion! There are thousands of sportsman events happening every year, but there isn’t a centralized site that consolidates local and national event information…until now. Welcome to FieldPost, The Sportsman Event Site! This is your online resource that consolidates conservation, hunting, fishing, shooting, and sporting dog events. Events such as banquets, shows, tournaments, seminars, habitat days, target shoots, courses, and conventions are constantly updated, organized, and conveniently displayed for you. Find your next sportsman experience on FieldPost! Provides a central site where clubs and chapters of all sizes can promote their events. Connects the sportsman with the event details they seek. Serves and promotes the outdoor community. Provides a FREE site for all users. To learn more about promoting your events on FieldPost, please click on Event Coordinators. 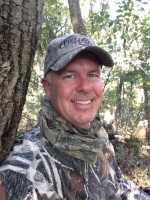 Get connected with your next sportsman experience using FieldPost! If you have any questions or comments, please contact us. We would enjoy hearing from you!